Thank you to everyone who has decided to click on this article and see what this is all about! This has been a whirlwind of a start for myself, so I think a small introduction is in order. In game I am Joran Jackson, a member of The Red Circle. We are a small gang corporation currently in a C5 wormhole. 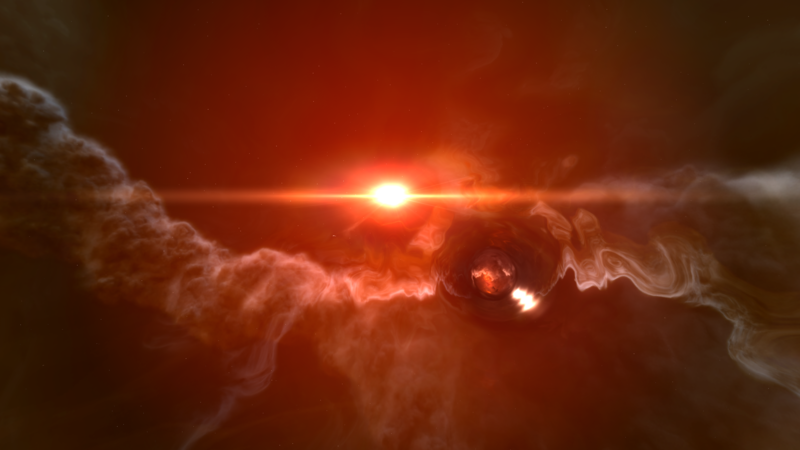 This column will focus on all aspects of wormhole life in Eve. In particular, what I hope to do in my initial start here is make it accessible for the average nullsec or highsec player to understand some of the dilemmas, debates, and controversies that happen in J-space, in the same way someone can understand a drone assist argument without ever having flown in a slowcat fleet. I plan to have plenty of opinion and discussion pieces about innovations specific to wormholes, and hopefully the comments sections can become a place for intelligent debate that doesn’t seem to occur as often as we would all like. Finally, I’d like to make some names and battles a bit more well known to the average Eve player. And, despite everything I just said, I am completely open to changing things, especially since this is the first time I have ever written in this fashion. Thank you again to Xander for taking me seriously when he really didn’t have a reason to, and everyone here at CZ for making me feel welcome. On to the show. 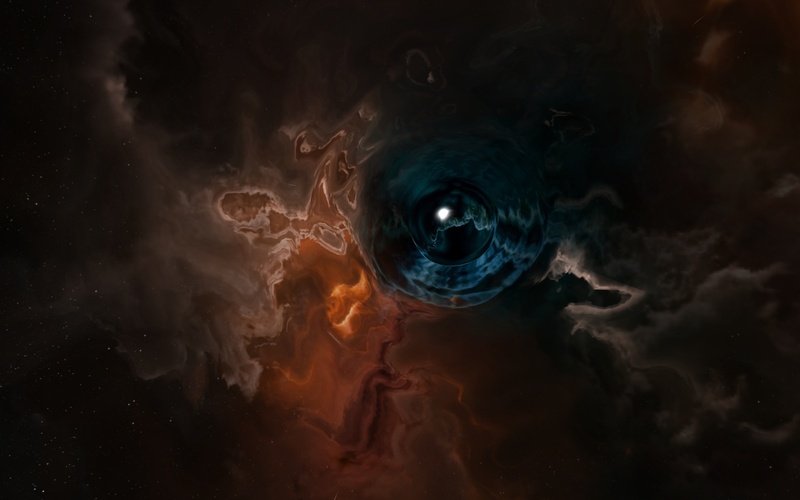 Wormhole space is an enigma worth unraveling. It’s relatively new, and the least reported about or discussed of the various lifestyles of an Eve player. This lack of knowledge, or lack of understanding, seems to foment a dismissive attitude to anything that isn’t related to 1000 man battles, or map sovereignty, or in which a titan isn‘t involved. But aside from wanting to live in wormholes, which may or may not be your cup of tea, you should care about what goes on inside them. The battles, the politics, and the players are shaping Eve. If you read about nullsec fights and nullsec politics, have ever done a ransom or a mercenary contract, or decided that you might soon want to try to shoot at another Eve Online player, here are 8 reasons why you need to start caring about wormholes. 8) It’s Nullsec. At its core, our game is your game. The scale, the mechanics, the methods might be different, but we all get together to blow each other up. And in fact, what might be surprising is that our game is your game, but in it’s formative years, where small (or not so small) organizations with big ideas could change the way things work. Discovery is a huge portion of what wormholes were (and are) about. Unfortunately for those coming into the scene fresh, many tricks are known quantities to wormhole corporations these days. I imagine it was much the same for those who began playing the game in 2003 as they put together the actual mechanics of the optimized way to go about our internet spaceship lives. 7) There are explosions. The stories of stupidity and awesome pilot skill are just as varied, just as noteworthy, and at times slightly more interesting due to mechanics of wormholes. You might hear about finding tengus sitting in space, an unshielded POS with faction battleships and capitals, dropping a surprise bubble between two POSes to catch a corporation running logistics, or just a huge battle between coalitions. It all happens in wormholes, and it happens with a frequency that might be surprising to the outsider. Each corporation has it’s “only in a wormhole” stories, and those stories are replicated consistently. 6) The PvP. As biased as I might be, the holy grail of wormhole fights is pretty darn awesome: 15-30 people per side, all in expensive pimped out boats, with very little or no reshipping. This is usually after one side has gone balls deep and crashed their exit behind them to bring the maximum amount of firepower, and it is kill or be killed. The best fights can hang, grasping, on the cliff’s edge for half an hour before finally seeing the enemy stomp on the fingers of hope. 5) The variety. Every day there is a different set of people to fight, in a different set of systems, with a different set of circumstances. One day you might hear a story of someone filling a carrier with T3s to jump a bunch of pods through a crit wormhole to hunt down a group of people. The next day you might see that same group fending off another large alliance inside their home by having to drop as many Moroses on the fight as they have pilots. And then there are the connections to k-space. Dropping out in Aridia or Amammake, whether it’s Vale or VFK; you have the opportunity to hear about fights in every space in Eve within a few months. If you’re following your favorite wormhole alliance, you will have no idea where it will be tomorrow. 4) The consistency. The people you follow are almost entirely the same large players that have been in wormholes from the start. The slow burn of the rise and fall of alliances has meant that everyone knows everyone at the top, and the stories are that much more involved because of it. The friendships and rivals that are developed extend in exactly the same way as the stories elsewhere, but at a scale that is manageable, and relatable. When you have a corporation of 50 people, fighting another corporation of 50 people. You have relationships that are meaningful to everyone that participates. The sense of culture and motivation don’t need to be manufactured by leadership. It is lived and created from the ground up. When you interact with the same 10 people every single night, there is a strong sense of camaraderie that binds wormhole corporations together, and it’s much more interesting when they fall apart, or are torn asunder. 3) Political maneuvering. The fallacy that there are no politics in wormholes, or that we are goodfight automatons is not all it is made out to be. While there is a lack of large scale propaganda, there are friends and enemies, even coalitions and anti-coalitions. And the logistics situation makes the orientation of these corporations fascinating by itself. You have entire alliances that are in different wormholes, only held together by the command structure and the occasional shared ops, but the individual corporations might operate in completely different ways, in completely different parts of the universe for the majority of the time. Grudges, coalitions, and evictions are all part of the day to day power struggle. 2) No local. The infamous one. There’s a lot to be said about local chat, and deftly sidestepping any comments about it on a larger scale, not having it in wormholes makes everything that happens inside that much more exciting. When you read about someone secretly seeding capitals into a system to catch the owners off guard? That’s only possible because there is no local. The fights where intel is the highest form of preparedness, or where you might wait half an hour stalking someone who does not realize you are there? No local. The intel described is not as it is in back channels or having a spy in the enemy fleets, but actual impressively experienced scouts getting there before the other guy, and getting eyes on a fleet you are about to engage. 1) The new era. Wormholes are breeding the new era of PvPers and fleet commanders. The ability to access all types of space easily and quickly, the variety of doctrines that a WH corp has to have, and the disparity in the enemies, means that you’re experiencing not only LS gate camps where you’re tanking guns, or NS fights where you’re nanoing like a boss, but everything in between. You are a sovereign entity that is standing on its own two feet. Wormhole are the start of a crash course in multiple types of small gang and small fleet combat. The alliances, fleet commanders, and diplomats will rise to relevance in the second decade of Eve Online.